Info It has often been said that Jeffrey Archer's own story would make an international bestseller. He was born in London, brought up in Somerset, the son of a printer, and educated at Wellington School, and Brasenose College, Oxford, where he gained an athletics blue, was President of the University Athletics Club, and went on to run the 100 yards in 9.6 seconds for Great Britain in 1966. After leaving Oxford, he was elected to the Greater London Council, and three years later at the age of 29, he became Member of Parliament for Louth. After five years in the Commons and a promising political career ahead of him, he invested heavily in a Canadian company called Aquablast, on the advice of the Bank of Boston. The company went into liquidation, and three directors were later sent to jail for fraud. Left with debts of £427,727, and on the brink of bankruptcy, he resigned from the House of Commons. His second novel was Shall We Tell the President?, a fast moving thriller about a plot to assassinate Edward Kennedy while he was President of the United States, later up-dated by the author substituting Florentyna Kane, from The Prodigal Daughter, for Edward Kennedy. With two bestsellers behind him, Kane and Abel came next. The book told the story of two men, one Polish, an illegitimate son of a gypsy, the other rich and privileged from a wealthy Boston banking family. Abel Rosnovski survives countless setbacks, emigrates to the US and builds up a thriving hotel chain. William Kane inherits a powerful bank and makes it more successful. Their paths cross only once but the meeting causes them to become bitter enemies, each determined to destroy the other. The novel became a number one best-seller in hardcover and paperback all over the world and has sold over 3.5 million in the UK paperback edition alone. Jeffrey followed this with A Quiver Full of Arrows, a varied collection of short stories that received major critical acclaim, and three of which were dramatised for the Anglia TV series Tales of the Unexpected. This was followed by The Prodigal Daughter, the sequel to Kane and Abel. And then came the novel Jeffrey Archer was destined to write, with his detailed knowledge and past experience as a Member of Parliament, First Among Equals. It followed the fortunes of four ambitious new MPs who took their seats at Westminster for the first time in the early 1960s. It became an award winning television series for Granada. In 1986, Jeffrey Archer published A Matter of Honour: a tale about a letter that was never opened by the keeper, only to be passed on to his son after his death. It is the opening of this letter that changes one family's lives forever. His next book, A Twist in the Tale, was a second set of short stories that gained more plaudits from the critics including the New York Times: "Jeffrey Archer plays a subtle cat-and-mouse game with the reader, a collection of twelve short stories that end, more often than not, with collective whiskers twitching in surprise". His next novel, published in June 1992, was As the Crow Flies, a saga that opens in the east end of London at the turn of the century. It follows the career of Charlie Trumper, whose progress from the teeming streets of Whitechapel to the elegance of Chelsea Terrace is only a few miles "as the crow flies" but is an epic journey through the triumphs and disasters of the last century, as Charlie follows a thread of love, ambition, and revenge to fulfil the dream his grandfather inspired. Honour Among Thieves was published in July 1993 and was a number one best-seller from London to Tokyo. He followed this with a set of 12 short stories, Twelve Red Herrings, published in July 1994. The Fourth Estate, based on the lives of Rupert Murdoch and Robert Maxwell, was published in 1996. In 1997, all of Jeffrey's short stories were released in one volume as Collected Short Stories. Jeffrey's 10th novel, The Eleventh Commandment, in which the action moves from the White House to a Russian Mafia boss's luxurious hideaway outside St. Petersburg, was published in May 1998, and spent 24 weeks on the Sunday Times Bestseller's List. Jeffrey's fourth book of short stories, To Cut a Long Story Short, was published in March 2000. His fifth, Cat O'Nine Tales, was published in the UK in 2006. His novel, Sons of Fortune, was published in December 2002, and his 12th, False Impression, in March 2006. A Prisoner of Birth was published in March 2008 and has topped the bestseller lists around the world, going to No. 1 in the UK, Canada, Australia, New Zealand, and India. It spent four weeks in the top 10 on the New York Times Bestseller list. Jeffrey's next novel, Paths of Glory, is scheduled to be published in the UK by Macmillan on 6 March 2009. Jeffrey is also a playwright, and after the General Election in 1987, he wrote his first play, Beyond Reasonable Doubt, which ran at the Queen's Theatre in London's West End for over 600 performances, and starred Frank Finlay and Wendy Craig. His second play, Exclusive, ran at the Strand Theatre for 100 performances, and starred Paul Scofield, Eileen Atkins, and Alec McCowen. His most recent play, The Accused, published by Methuen in October 2000, starred Edward Petherbridge, Michael Feast, and Tony Britton, and is a courtroom drama with a twist; the audience acts as the jury, and decide which of two different endings the play should have - guilty or innocent. Jeffrey took on his first West End role, playing the part of the accused. The play completed a very successful nine-week regional tour, before playing at the Theatre Royal Haymarket for a limited eight-week run. 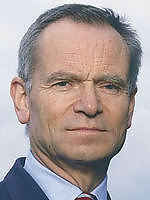 Jeffrey Archer was Deputy Chairman of the Conservative Party from September 1985 until November 1986. In 1991, he was co-ordinator for the Campaign for Kurdish Relief, and he is also an amateur auctioneer, having raised more than £12 million in the last 10 years. Jeffrey Archer was made a Life Peer in the Queen's Birthday Honours List of 1992. Jeffrey Archer has published three volumes of his Prison Diary; Volume I, Hell, a searing account of his first three weeks in the high security prison, HMP Belmarsh; Volume II, Purgatory, set in HMP Wayland, a C category prison; and the third and final volume, Heaven, about his final transfer to an open prison. Now published in 63 countries and more than 32 languages, Jeffrey Archer is firmly established, with international sales passing 250 million copies. Jeffrey completed the Flora London Marathon on April 18 th 2004, in 5 hours 26 mins, raising money for the Make-A-Wish Foundation UK, the British Heart Foundation, the Fund for Addenbrooke's, and the Facial Surgery Research Foundation. He was overtaken by a camel, a phone-box, and a girl walking. He has no plans to repeat the experience. Jeffrey has also written an original screenplay about George Mallory, called Paths of Glory, which he hopes will go into production with the Oscar-winning director, Bruce Beresford. He has also completed the screenplay to his novel, False Impression. Jeffrey has been married for 40 years to Dr Mary Archer, who is chairman of Cambridge University Hospitals NHS Foundation Trust (incorporating Addenbrooke's and the Rosie Hospitals in Cambridge). They have two sons, William and James. They divide their time between homes in London and Cambridge.